The festival kicks of Friday, April 19th with NYC’s “rambunctious, over the top, singing siren,” emcee Shelly Watson! This opening night features over a dozen performers revving up to get your motor started for a weekend of gender-bending Boylesque! Featured performers include: Waxie Moon (Seattle), Isaiah Esquire (Portland OR), Mod Carousel (Seattle), Tigger! (NYC), Johnny Nuriel (Portland OR ), Paris Original (Seattle), Ernie Von Schmaltz (Seattle), Jake Dupree (LA), JD Hickcock (Houston TX), (Seattle), Karmen Sutra (Seattle), Draco Muff Boi (Vancouver CN), Rhode Island Red (Seattle), Indy Fire (Denver), SpICE! (Seattle), Fosse Jack (Seattle), Leo Celeste (Gainesville FL), Beau Briefs (Seattle) & Chandler Svelte (Seattle)! 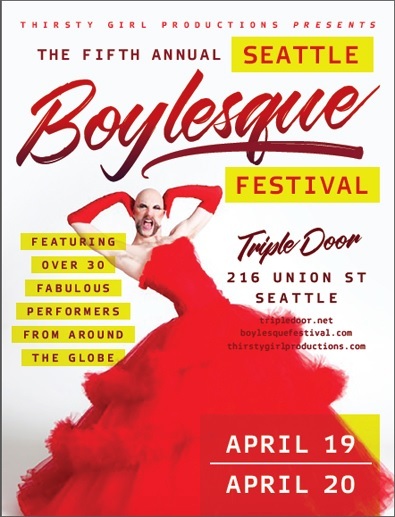 The Saturday Night Spectacular is emceed by Seattle’s own infamous and always hilarious Ernie Von Schmaltz and features cast of Burlesque all-stars including: Izohnny (Portland, OR), Luminous Pariah (Seattle), Waxie Moon (Seattle) Trojan Original (Seattle), Jake Dupree (LA), Tigger! (NYC), Indy Fire (Denver), Jupiter Everhard (Bozeman MT), Faggedy Randy (Seattle), Midnight Water Fairy (Minneapolis), Moscato Extatique (Seattle), Al Lykya (Seattle) JD Hickcock (Houston TX), Tony Tapito (Seattle), Gabe & Martini (Minneapolis), Matt Knife (NYC), Johnny Crankshaft (Seattle) & Rover Suede (Seattle)! 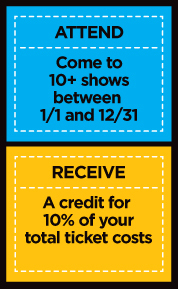 Saturday’s late show benefits Burlycon Burlesque Convention, a non-profit organization or burlesque performers, producers, fans and aficionados.